Yesterday, the State Department declassified and released Organization and Management of Foreign Policy: 1977-80, volume 28, a Carter-era document that includes startling statements by CIA General Counsel Anthony Lapham on the role of the WWI-era Espionage Act in prosecuting leaks of classified material to the press. 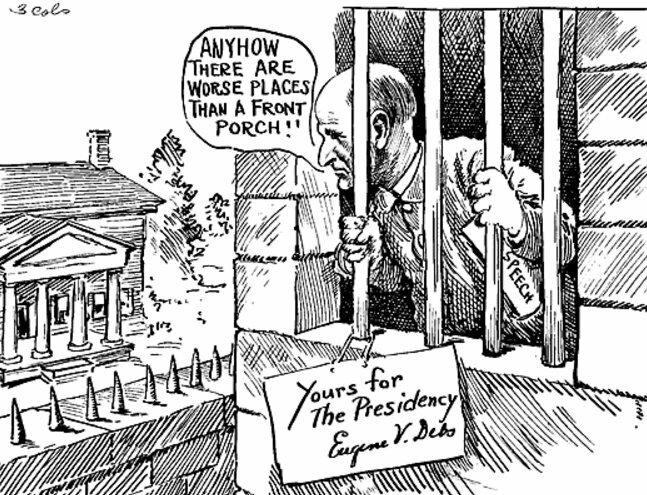 The Espionage Act dates back to 1917 -- it was used to imprison Eugene Debs, a socialist candidate for the presidency of the United States. Though it was rarely invoked for most of a century, the Obama administration revived it to attack whistleblowers who provided official documents to the press. All told, the Obama administration invoked the leak provisions of the act seven times -- more than all the administrations of the USA, combined. Among those prosecuted under the act are Chelsea Manning, Edward Snowden and Thomas Drake. That's why the memo is so surprising: General Lapham says, very clearly, that the Espionage Act shouldn't be used in cases of leaks of classified information to the press, because it won't work, and because the act wasn't "intended to have application in such situations." “It seems to us that the universe of classified information is quite simply too large, and encompasses such a great variety of material of so many different degrees of importance to the national security, as to make impractical the idea of extending criminal sanctions to the unauthorized disclosure of all such information,” he wrote (document 34, pp. 156, 159).